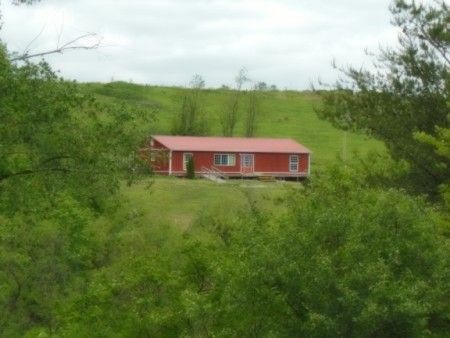 Being approximately 10 acres of wooded and rolling hills complimented with a modern ranch style stick built 2 bed 1 ½ bath home situated on a knoll overlooking a beautiful valley with easy access apx. 1 mile off of US Route 35 and apx. 9 miles east of Jackson. This property offers an abundance of wildlife including whitetail deer, turkey and more! Home constructed in apx. 2007, the Jackson County Auditor reports 1440 sq. ft. and 10 acres. Home consists of a large open concept living room, dining room, kitchen with top and bottom cabinetry combination; master bedroom with attached bath with large shower and walk in closet; bedroom with closet; ½ bath and spacious utility room; gas furnace with central air conditioning, 200 amp breaker box, aeration septic system. Appliances stay with the home as well as the propane tank. 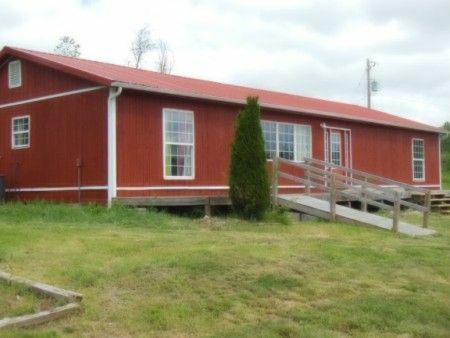 The property also offers a detached barn that would be great to store ATV’s for all you hunters and outdoorsman looking for a dynamite hunting get away or for storage for a property you would be proud to call your home! Real Estate Terms: Terms: $5,000 down at the time of sale cash/check, balance and possession upon delivery of deed, closing on or before August 13, 2013, no buyers contingencies exist sold in its present AS-IS condition. Taxes & Legal: Taxes are $662.39 per year.